While many historians have effectively challenged the myth of Vimy Ridge as the “birth of a nation,” resisting the tendency to present the war within a nationalistic framework proves difficult because it seems to offer the most accessible point of entry for the public to engage with the past. [i] Reflecting on the immediate political reactions to Vimy Ridge is one way of offering alternative interpretations of the significance of the battle for Canadians today. Rather than demonstrating unity and shared celebration, politicians’ reactions after the battle exposed deep divisions in wartime Canada caused by debates over conscription, aggressive partisanship and accusations of disloyalty. While on a tour of the front one month after the victory at Vimy Prime Minister Borden met fellow Conservative MP, Captain James Arthurs, who he recorded “is tremendously impressed with what Canadians have done.”[ii] After four months in the field Arthurs retook his seat in the House of Commons in June. Government ministers and the Ottawa press welcomed him back as “one of our heroes of Vimy.” In Arthurs’ first speech since returning from overseas he explained how his experiences had proven, “this is a fight to the finish, a fight for life and death for all democracies.”[iii] Whereas at the outbreak of the war Arthurs claimed he had viewed Canada’s participation only in helping to defend the Mother Country as part of the British Empire, by summer 1917, he argued Canada’s very existence was at stake. A hardware merchant, self-styled gentleman and MP for Parry Sound (1908—1935), Arthurs had recruited the 162nd (Timber Wolves) Battalion in 1916. Like nearly all late-war infantry battalions, the 162nd was broken-up upon arriving in England to provide reinforcements for front line units. Unlike many former commanding officers, the fifty-year old Arthurs managed to overcome age restrictions and reverted in rank from lieutenant colonel to captain. Arthurs joined the 1st Battalion in February 1917 and served as a platoon commander during the attack on Vimy Ridge. From Arthurs’ perspective “true Canadians” were those who had put on a uniform and served on the front lines. Any man seen to have refused to volunteer was considered separate from their patriotic countrymen. Overlooking the fact that many English-speaking Canadian men had not volunteered and would readily appeal for exemptions upon the passage of conscription, Arthurs asserted, “in some parts, particularly the province of Ontario … every available man had gone to the front.” The problem appeared clear: Quebec had not done its share. The real reason why the enlistments from Quebec are not in proportion to the enlistments from the other provinces is because the Liberal party in Quebec have been playing the political game, and the political game only. It was said openly in Quebec: This is the Englishman’s war; let the Ontario man go, so much the better for us. 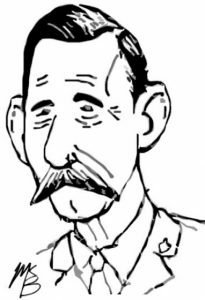 As an elected representative and former battalion commander who felt responsible for many of the men recruited, Arthurs believed he conveyed the sentiment of “ninety-nine percent” of the soldiers at the front in supporting conscription. His own son was serving in the trenches and had tried to convince his father that field conditions would prove too stressful. By the time Arthurs returned home he was suffering from the mental and physical effects of even this abbreviated service and complained of nervousness and sleeplessness into the 1920s. On 29 August 1917, Parliament passed the Military Service Act to immense opposition from Quebec. The divisive tactics of the Union Government during the December federal election further escalated political tensions which culminated in protests, fatal riots and arrests in Quebec City during spring 1918 just one year after the capture of Vimy Ridge. Presenting Vimy as a moment of national unity obscures the complicated political context in which the battle occurred and overlooks how celebration of the victory intersected with the conscription debate. Emphasizing a sense of collective identity that some soldiers may have expressed in accomplishing the impressive feat also excludes the many more Canadians who had not served in uniform or participated in a military capacity. Defining national identity in terms of military sacrifice alone also risks reinforcing Arthurs’ assumption that “true Canadians” eagerly volunteered while others had been mere “slackers.” The hundredth anniversary of the battle should provide an opportunity to consider the process of national myth-making and provoke deeper critical thinking over the political and ideological uses of history. Investigating and challenging nation building myths like Vimy Ridge allows scholars and the public alike to explore a more diverse range of historical perspectives and interpretations. [i] Jean Martin, “Vimy, April 1917: Birth of Which Nation?” Canadian Military Journal, Vol. 11, No. 2 (2011), 32-38; Ian McKay and Jamie Swift, The Vimy Trap: or, How We Learned To Stop Worrying and Love the Great War (Between the Lines, 2016); Tim Cook, Vimy: The Battle and the Legend (Allen Lane 2017). [ii] Borden Diary, 7 May 1917. [iii] House of Commons. Debates (26 Jun 1917), 2654-2660. The following quotations of Arthurs are from this Commons speech. The comments of other MPs are also from the House record. [iv] Debates (27 Jun 1917), 2732-2736. [v] Debates (28 Jun 1917), 2807. [vi] Debates (5 Jul 1917), 3063. Matt Barrett is a PhD candidate at Queen’s University. He studies the concept of military honour by examining the dismissal and cashiering of Canadian officers during both World Wars. His published work has appeared in Journal of Canadian Studies, Canadian Military Journal, Canadian Military History and British Journal of Canadian Studies. He is currently working on an online project to profile every battalion commander in the Canadian Expeditionary Force at https://matthewkbarrett.com/. 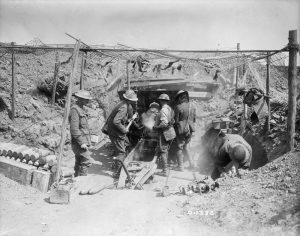 ActiveHistory.ca is featuring this post as part of “Canada’s First World War: A Centennial Series on ActiveHistory.ca”, a multi-year series of regular posts about the history and centennial of the First World War. We welcome new submissions. This is a good piece. It’s nice to see a new angle to the old discussion. As you rightly point out the, “birth of a nation” debate has been pretty much thoroughly thrashed out, regardless of which point of view (yea or nay) is accepted. Well done.